a project of agitPolska e.V. 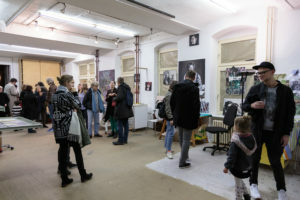 – Polnisch-Deutsche Initiative für Kulturkooperation and ARTUM Foundation ewa partum museum. 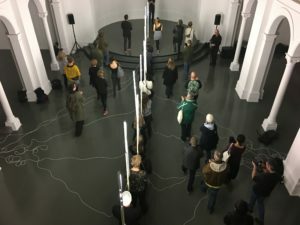 Different generations of artists has been presented to the Berlin audience in a combination of formats such as exhibitions, studio visits with artist talk, meetings in galleries, expert panels, live performances and activities in the public space. We were not looking for commonalities between the work of political migrants and younger artists. We are rather drawing attention to individual artistic statements so as to open up spaces for personal narratives and overlapping references. 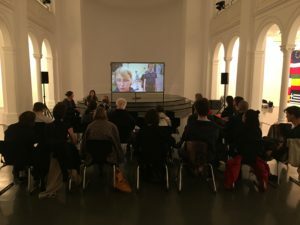 A versatile and reciprocal relationship to Berlin as a cultural location may thus function as an interpretative bracket; the city itself turns out to be a sui generis document, a living archive in which everything conglomerates: space, time and actors.